Taking a quick glance at the tracklisting on Where You Go I Go might prompt you to think this is a single, notching up just three tracks, but in fact this is Lindstrom's debut album proper (following on from the single comp It's A Feedelity Affair), and the three pieces indexed are absolute epics: the title track stops just shy of a half-hour, taking in an awful lot of breadth as it morphs, modulates and transforms itself. Although some might regard the duration as prohibitive, it absolutely encapsulates everything that's refreshing about the Nordic disco sound, taking plenty of influence from the past, but adding a whole heap of soul and melody. It takes cues from Moroder and Kraftwerk adding healthy amounts of Italo disco melodic exuberance. After such a monumental feat of dancefloor excess, you're always going to have trouble keeping the momentum up, and while 'Grand Ideas' does a fine job riffing on similar ideas for ten minutes or so, it's inevitably dwarfed by that exceptional opening track. Finally, it all goes a bit sci-fi on the slinky, easy listening cosmic kitsch-fest 'The Long Way Home', which lifts the spirits nicely for a final flourish. 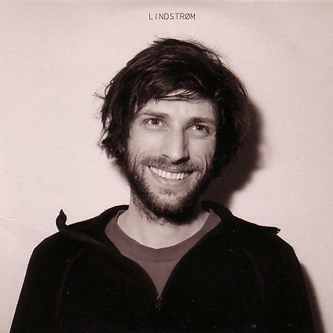 Easily worth your investigation if only for that magnificent opener, Lindstrom's strangely proportioned debut album comes highly recommended.